Manos Del Uruguay is here! 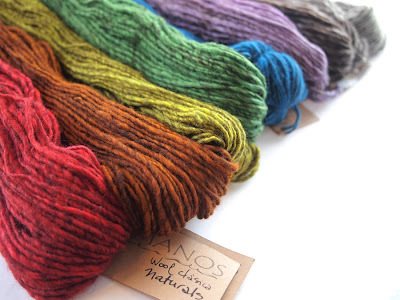 Who can resist these handspun, kettle-dyed yarns from Manos del Uruguay? We love that the Manos Del Uruguay cooperative has been working to support women hand spinners, dyers and weavers in rural Uruguay since 1968, and is now a full member of the World Fair Trade Organization. Owned by the women themselves, Manos has 17 cooperatives in villages throughout the countryside of Uruguay. The tweedy subdued color of the Wool Classica Naturals comes from over-dyeing the natural grays of handspun wool. And oh-so-super-exciting is the new neon colors of Manos Maxima! 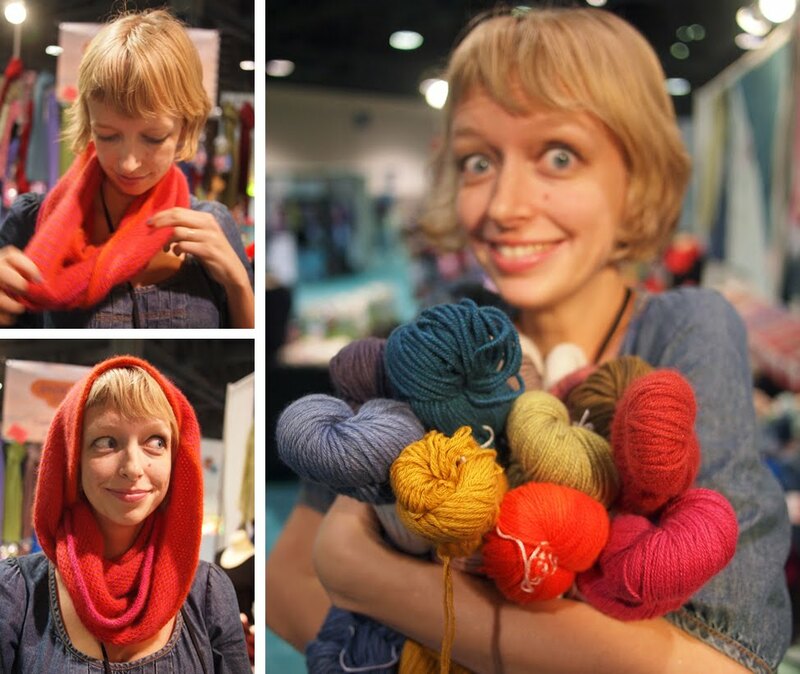 We have never seen colors this bright in an all-natural yarn, and the fair trade merino wool is soft and lovely. I'm imagining up some neon colorwork right now! 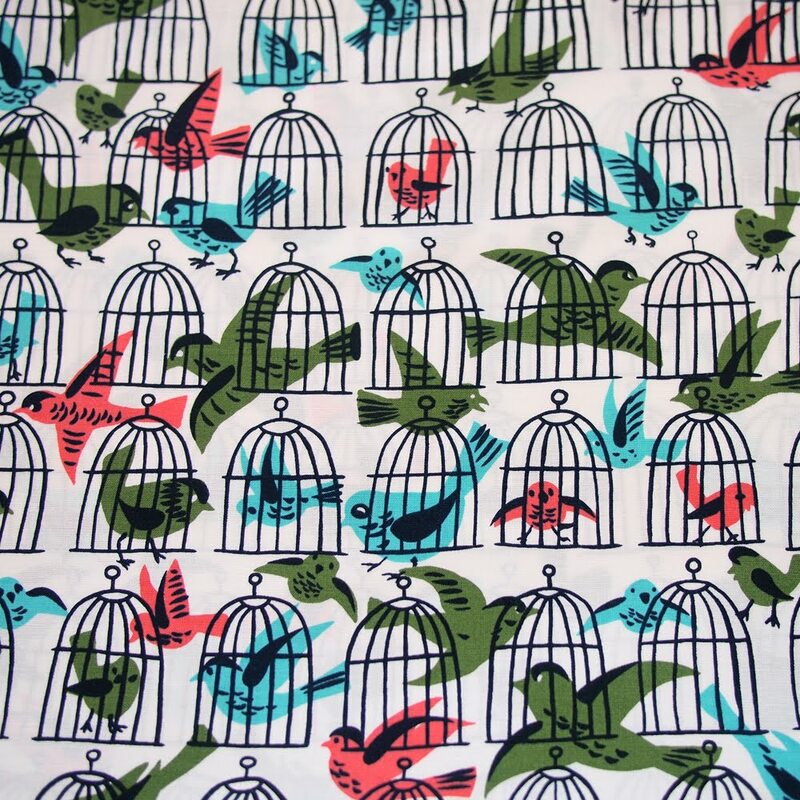 Bridget is new to sewing, but she is sure taking off with it! She came in on a Saturday to buy the supplies for this tote and wallet and returned two days later using her new handmade accessories. 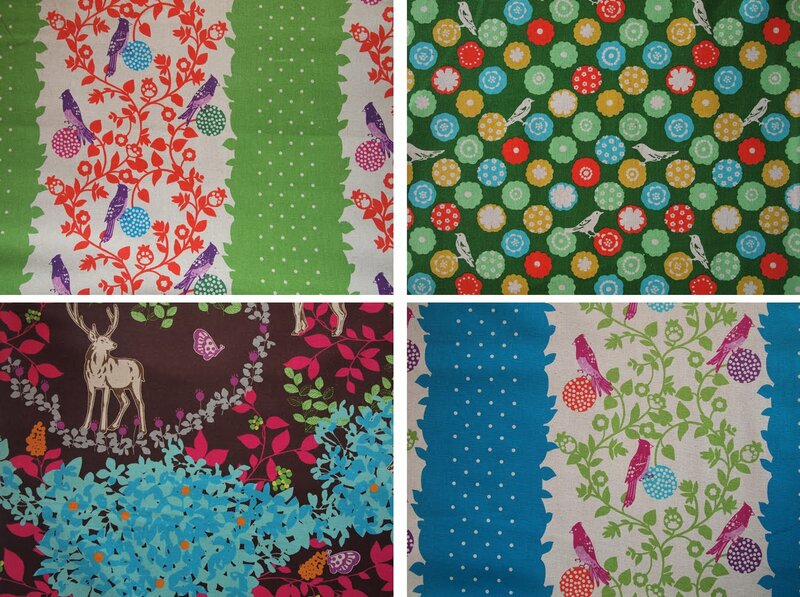 We love the colorful Amy Butler fabrics with her bright green coat and nail polish! I love making gifts for family and friends on any occasion! I generally enjoy modge podge and making crazy necklaces. Crafts are a way for me to break out of stress caused by sitting in a cubicle all day. 2) Tell us about your sweet tote and wallet. 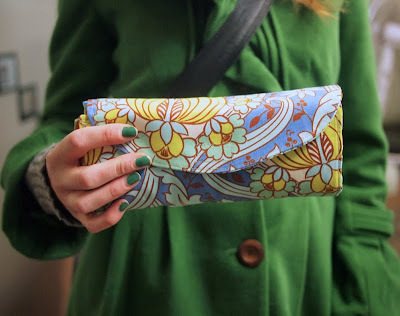 I made the Heather Bailey New Leaf Folding Tote and Wallet. I used Amy Butler Soul Blossoms fabric in Disco Flowers and Temple Tulips. It's my first project and it took about five hours, yay! 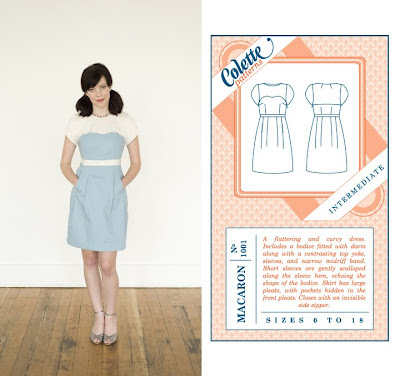 3) How did learn to sew? I took Sewing 101, and also learned from my grandma and my dad! 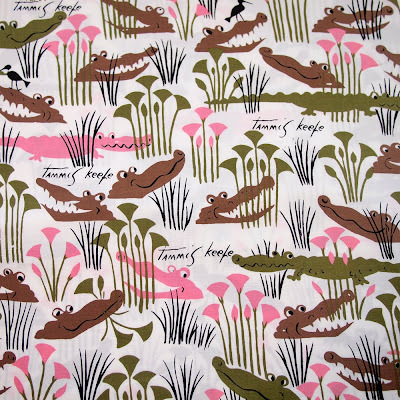 I found material I loved and got excited about the project! It's no secret that Etsuko Furuya is amazing! 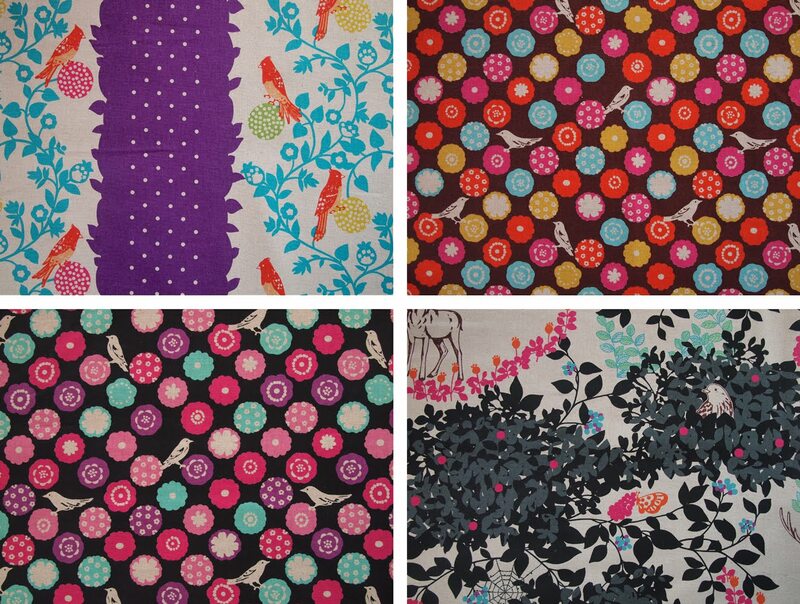 Her new line of Echino prints are here and once again we are swooning over them. 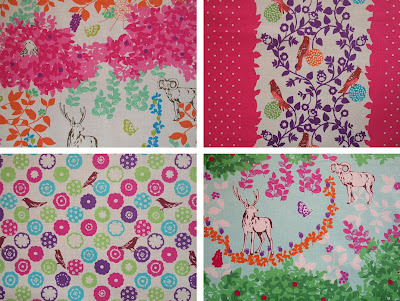 These prints are so bold and lovely that even the most simple sewn project will look like a million bucks. 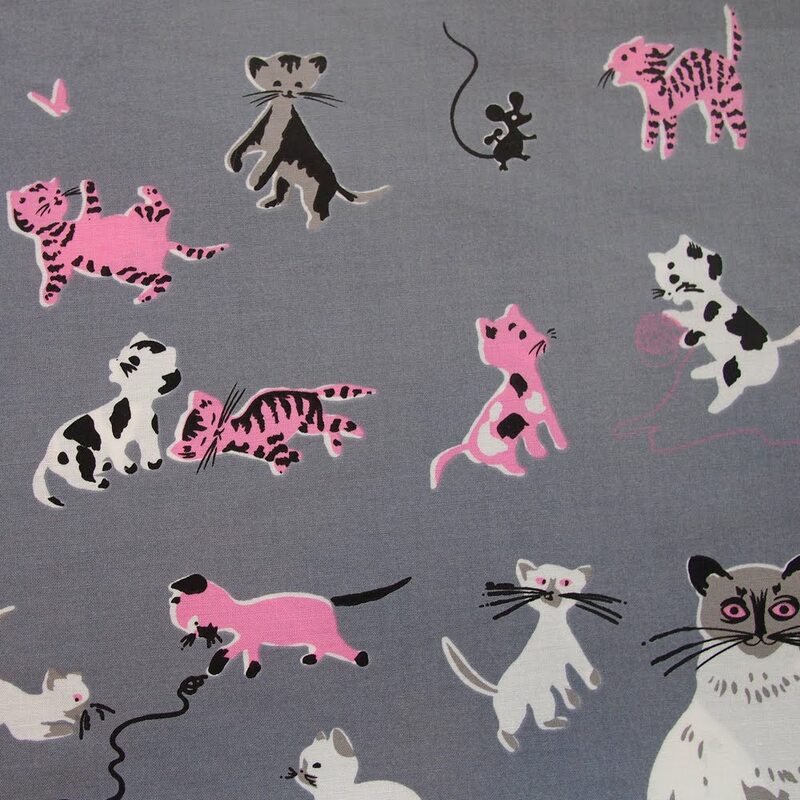 New from Etsuko are these prints on 62" cotton sheeting. That's wide enough to make a throw sized quilt without any seaming! Hooray! 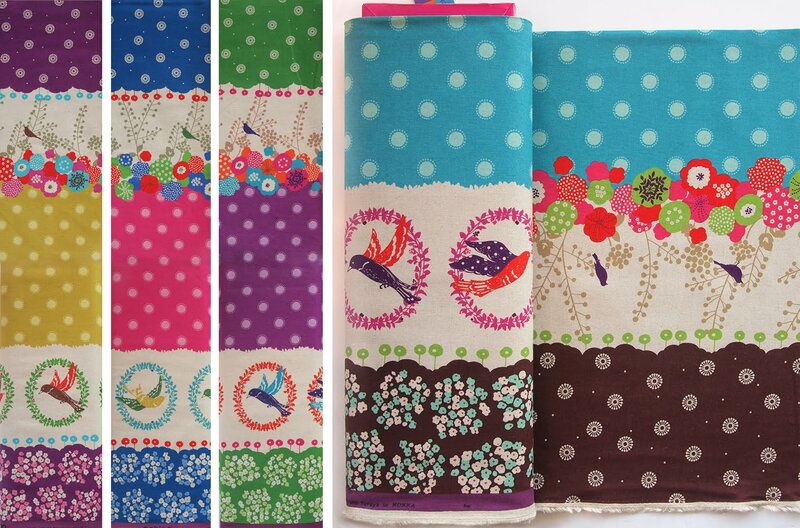 If you are as excited as we are about Echino then stop by soon, because these are selling fast! Hello, faithful readers! This is Cat, lover of all things crochet! 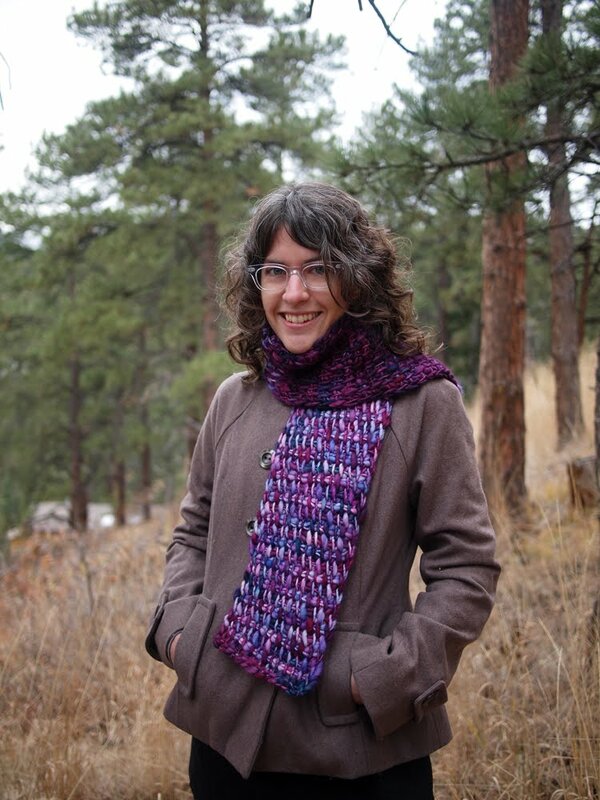 This beautiful scarf was made with Malabrigo Aquarella. 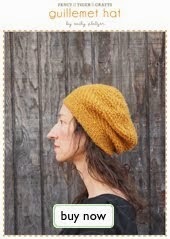 I made it for Jaime to take on her trip to Iceland last fall so that she wouldn't get cold out in the Highlands! Fancy Betsy whipped up this adorable neck warmer after only one lesson! Way to go! Betsy has become a Tunisian Crochet Machine! She's cranking these neck warmers out left and right! 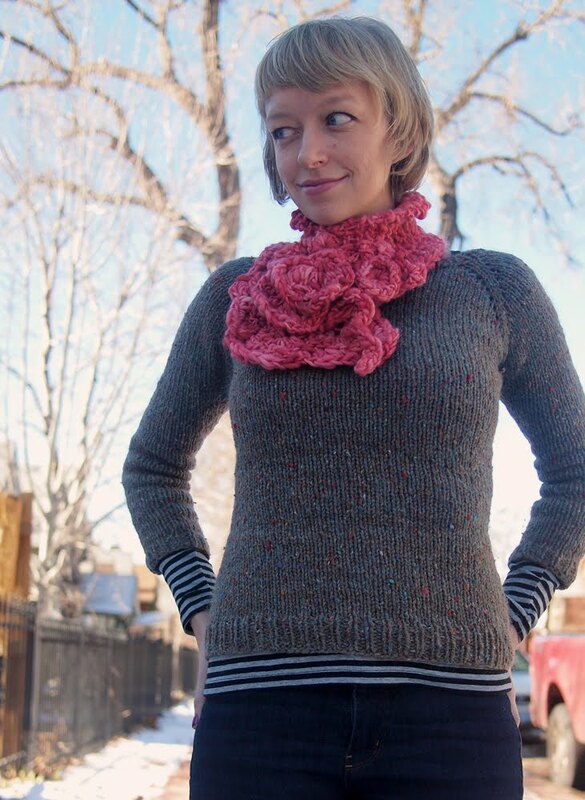 This stunning neck warmer is a blend of Tunisian and “regular” crochet. Tunisian crochet was used for the neck part and the more familiar crochet for the front and adornments. 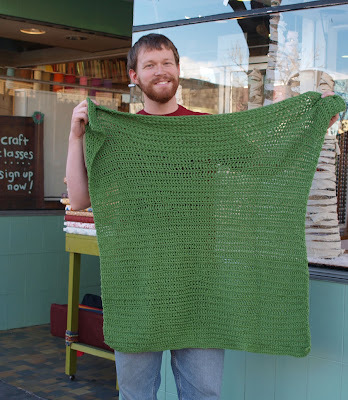 It is from a pattern found in a recent issue of Interweave Crochet. If your interest is piqued check out the class schedule on our website for more info about up-coming classes! If you can crochet or knit you can easily learn this fun craft and make some great items of your own! 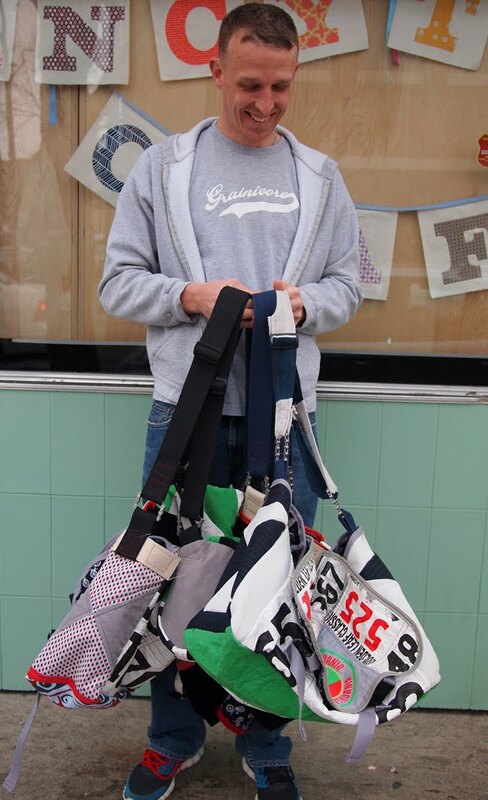 Casey has been coming by pretty frequently, stocking up on supplies for the one of a kind messenger bags that he's making. We think he's the craftiest! 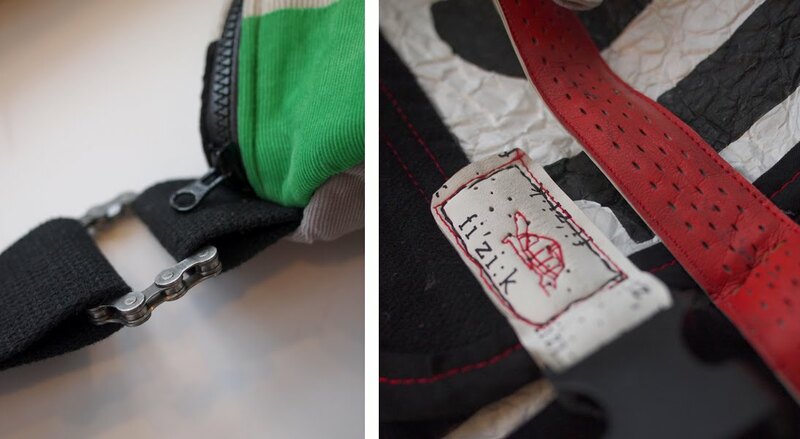 He's become a master of repurposing old race numbers, as well as used bar tape and bike chain in place of fabric, trim and bag hardware, and mixing it with new supplies--bicycle prints and cotton webbing--to create these amazing bags. I enjoy life and work to ride and race. I am crafty to learn how things work. I enjoy all types of crafting, anything that keeps the mind positive. 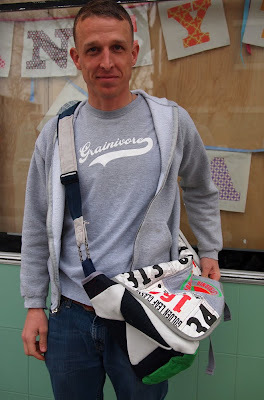 2) Tell us about the bags you've been making. I'm sewing messenger bags out of race numbers and bar tape. I didn't use a pattern--I'm still a novice. 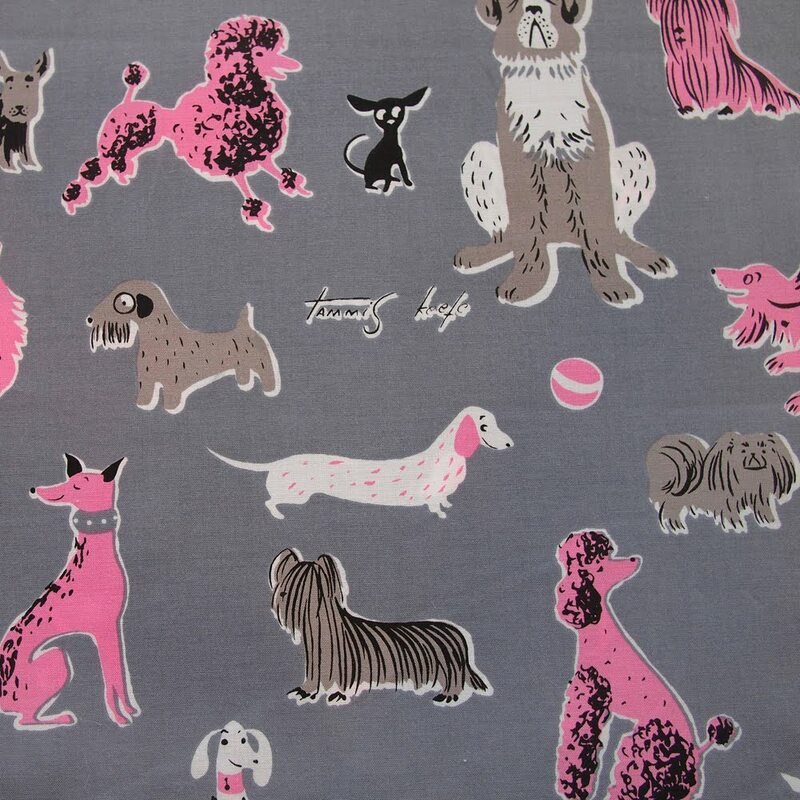 I just started with grandma's sewing machine and my race numbers and the awesome fabric from Fancy Tiger. check out the bike chain loops and bar tape trim! 3) How did you learn your crafty skills? 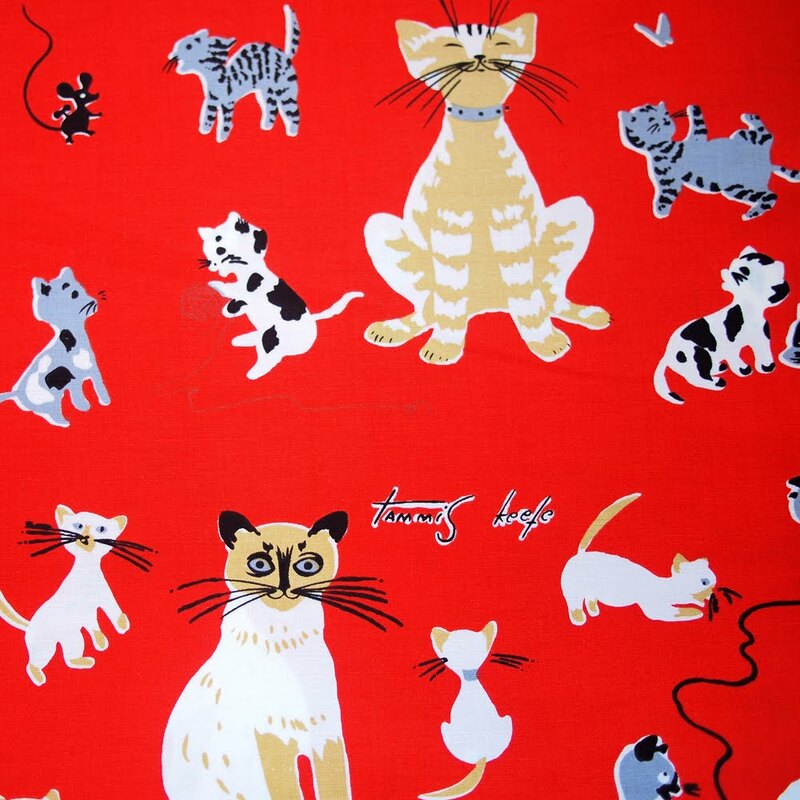 I picked it up through life's journey and grandma, and Fancy Tiger helped me accomplish these projects. 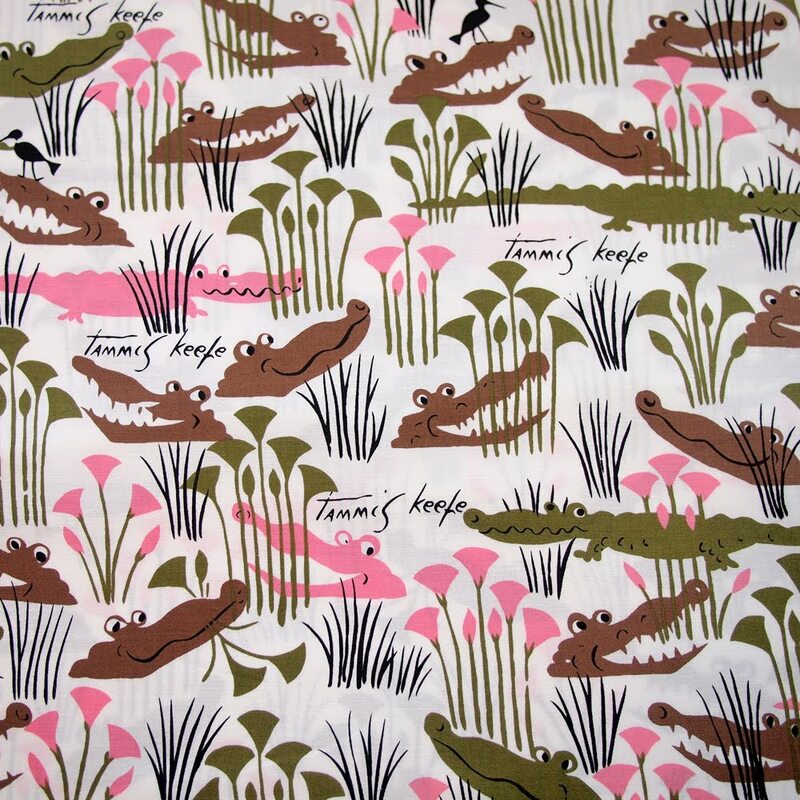 We are in love with the new Tammis Keefe tribute fabrics from Michael Miller! 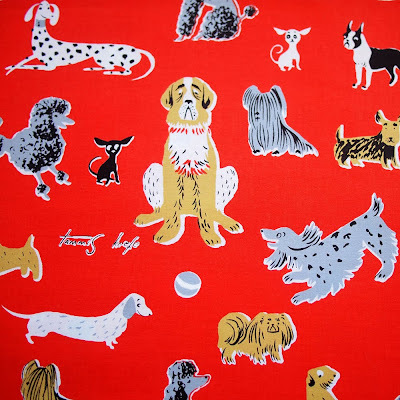 A textile designer in the late 40s and 50s, Ms. Keefe is most famous for her handkerchief designs, colorful and collectible, featuring animals, famous cityscapes and objects of all kinds portrayed in whimsical and minimal 1950s style. We can't wait to stitch something up in these reproductions of her adorable illustrations, which are printed in the original colorways. How perfect is that? How about a Macaron dress by Colette Patterns stitched up in Tammis's 1950s kitty cat fabric? Sadly, Ms. Keefe passed away at the age of 46 from cancer. 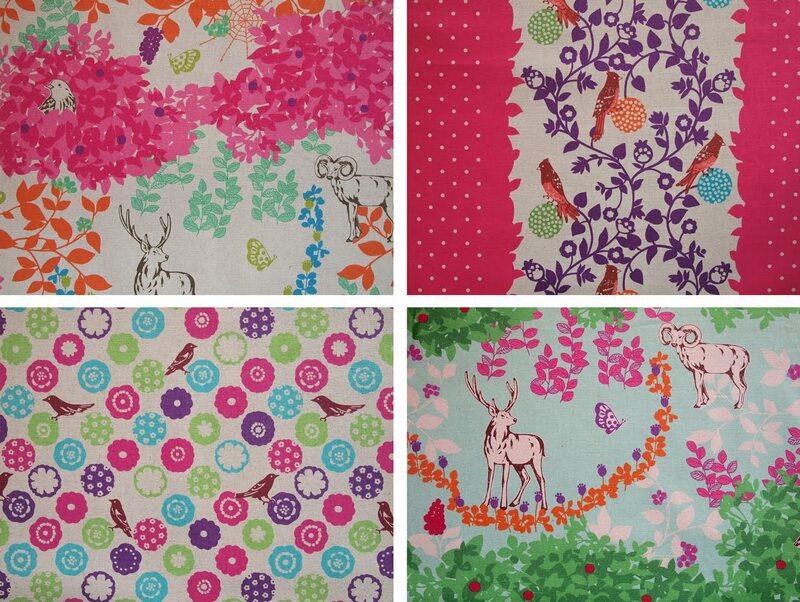 The royalties from the sale of these fabrics will be donated to help fund cancer research. 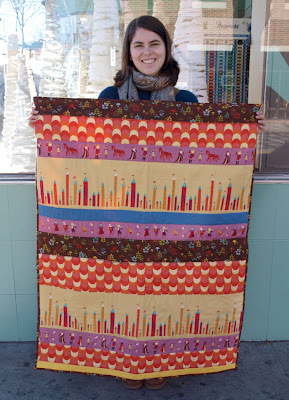 We at Fancy Tiger Crafts get so happy when we see someone with their first finished project. It's a pretty magical moment. Matt just learned to crochet and his first project was this cozy organic cotton blanket. Congratulations, Matt! We can't wait to see what you make next! I'm the Denver Metropolitan Tuberculosis Clinic's statistician. 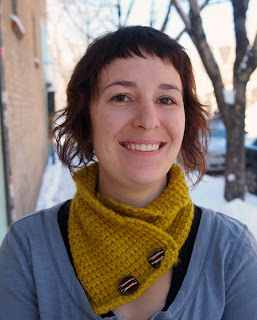 I spend a lot of time staring at screens each week--crochet is a nice way to create something physical. 2) Tell us about your blanket. This is my first crochet project. I used Blue Sky Alpaca's dyed organic cotton. My partner got me started. She made me a blanket that I would probably carry out of a burning building. We had tons of fun at TNNA this weekend! We saw many of our favorite fiber and yarn companies and met some new folks, too. 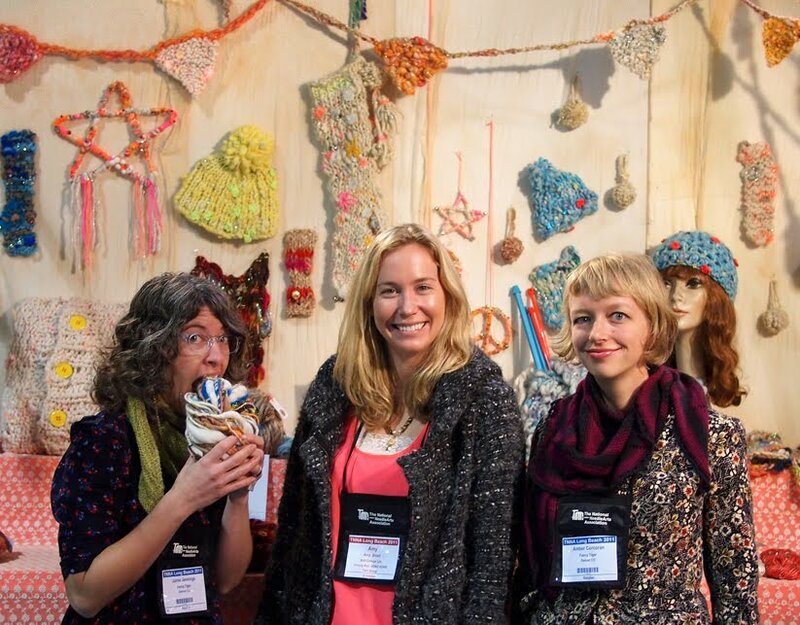 Jaime and I started out at the Knit Collage booth where Amy showed us what was new in her world of glittering handspun yarns. Jaime had a hard time resisting the urge to eat the precious skeins. Amy recently spent six months in Punjab teaching 18 local women to hand spin art yarns. Some of her new yarns are inspired by that region and have bits of colorful sari silk and paisley sequins spun into them. We also love the new 100% silk handspun yarn embellished with glittery metal disks! Our Colorado friends, Schacht, were there debuting their newest spinning wheel, the Sidekick. This adorable sister wheel to the Ladybug is compact and folds away for easy transportation. 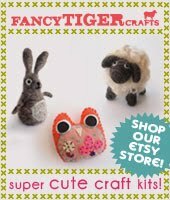 We can't wait to get some of these cuties in the shop! Barry of Schacht is really into bicycles as well as spinning wheels and has outfitted these new wheels with quick-releases like you would see on a bike wheel. He is kind of a genius... We love that we have such an amazingly innovative company making hand crafted spinning equipment just down the road in Boulder! You might know we are total nerds about heritage sheep breeds. You can imagine our delight when we walked into the PicoAccuardi booth and they had naturally dyed fiber for spinning and felting in every sheep breed imaginable. 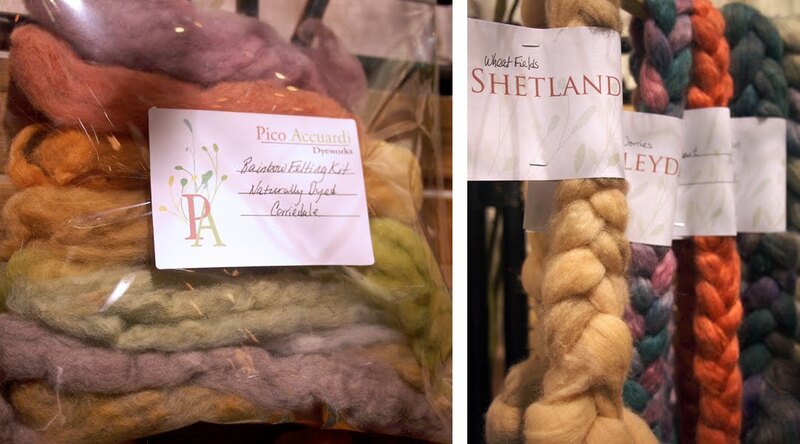 Now we can spin our favorite cute breeds like Gotland and Wensleydale in magically hand-dyed colors! 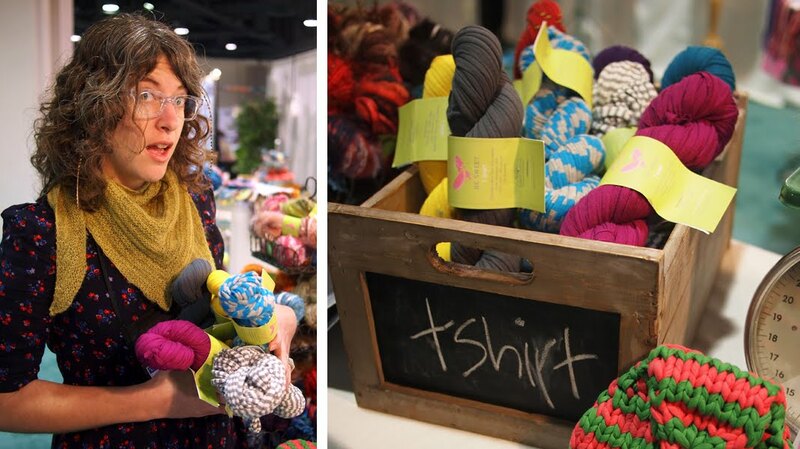 We admit to being biased towards all things woolly, but we loved the color and uniqueness of this recycled cotton jersey t-shirt yarn from Be Sweet. 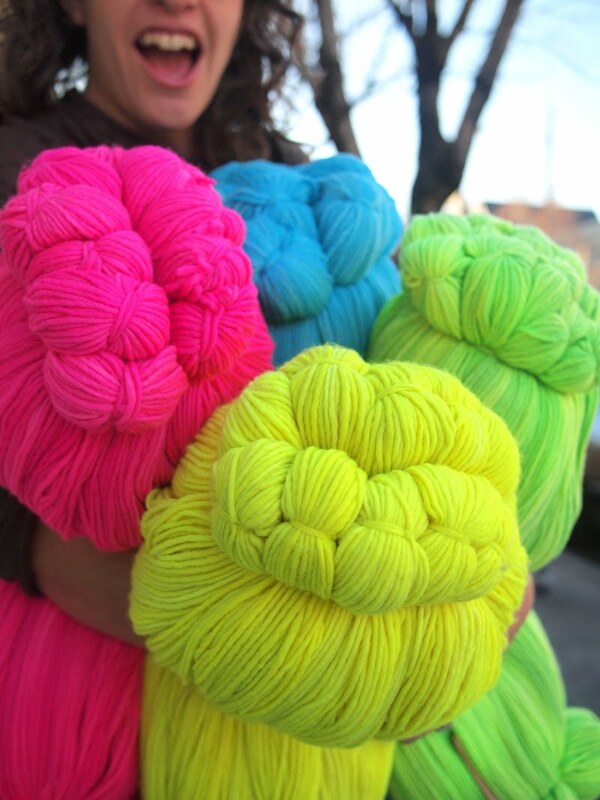 What a bright, fun summertime knitting yarn! We were delighted to see the ever adorable Joanna Johnson at the Lamb's Pride booth! 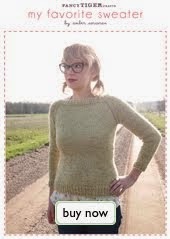 She was there with her soon-to-be-published knitting storybook, Freddie's Blanket. 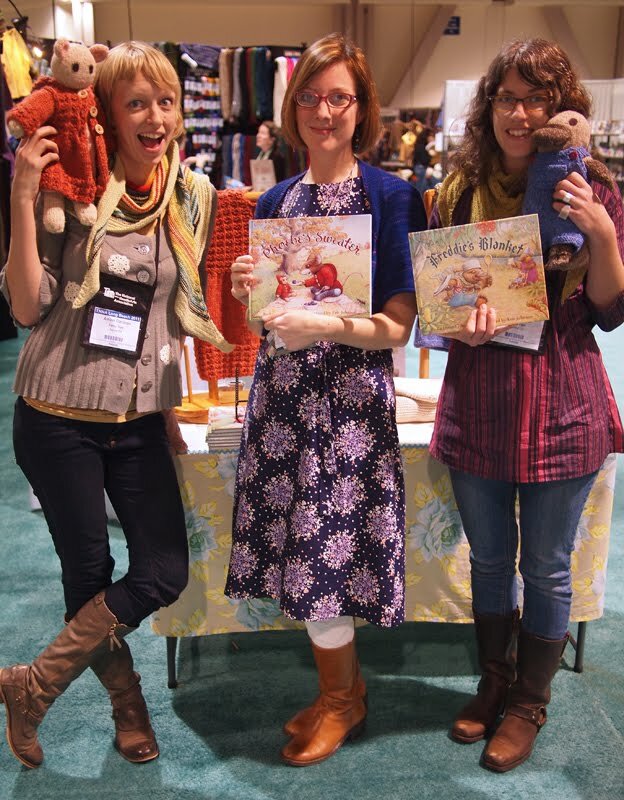 She recently came to Fancy Tiger for a book signing of her first book, Phoebe's Sweater, and we fell in love with it. We were so excited to see her at TNNA decked out in an amazing dress and cardigan which she made from supplies she purchased at Fancy Tiger Crafts! Too cute! That's just a few of the wonderful things we found at TNNA--also look forward to Lorna's Laces, U. S. raised Shetland lace yarn, Imperial Stock Ranch two-ply worsted, Hand-dyed Aran weight yarn from Alisha Goes Around, new Habu yarns, Neon merino yarn and so much more! 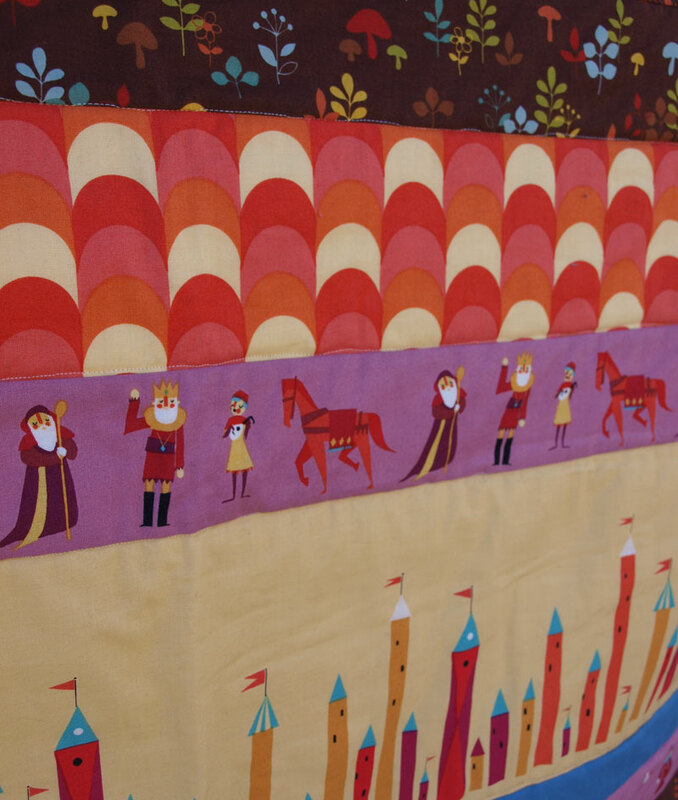 We love the Castle Peeps fabrics by Lizzie House, and were in awe when Allison came in with a quilt she made from it. 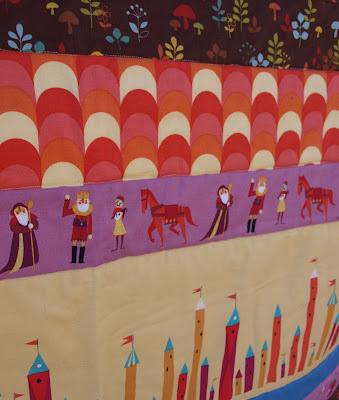 I love the stripes of medieval folk parading across her quilt! 1) Tell us about yourself. What makes you want to craft? I'm an administrative assistant at a doctor's office. I have always loved arts and crafts, so I do it for fun. I like to make handmade gifts and cards. 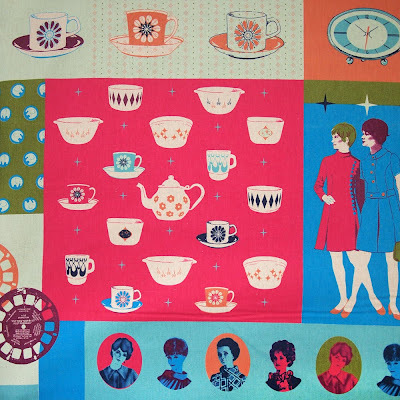 I do a lot of sewing. It's a baby quilt for my new little niece. I used fabrics from Lizzie House's Castle Peeps collection (which inspired the project) and Moda's Woodland. I made up the pattern. My mom taught me to sew--she has a degree in costume design and is a master of sewing clothes! (I sew blankets because they are easier...shh!) I took a quilting class this summer at my church, First Mennonite. It's a tie between penguins and elephants. 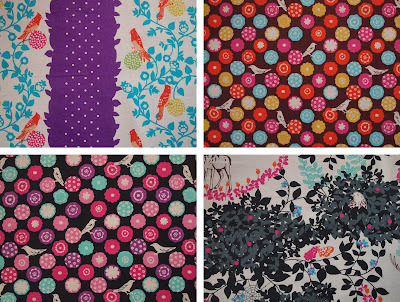 Melody Miller's Ruby Star Rising Fabrics Are Here! 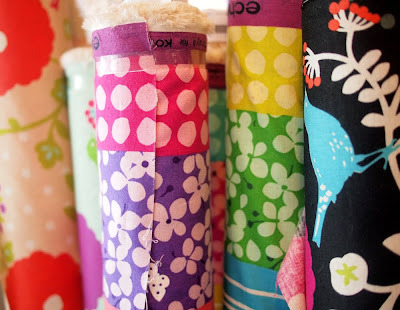 Melody Miller's new fabric collection for Kokka just arrived, and we are oh-so-excited about her awesomeness! Ruby Star Rising is Melody's very first collection that she says was "inspired by women from shopping catalogs in the late 60's. 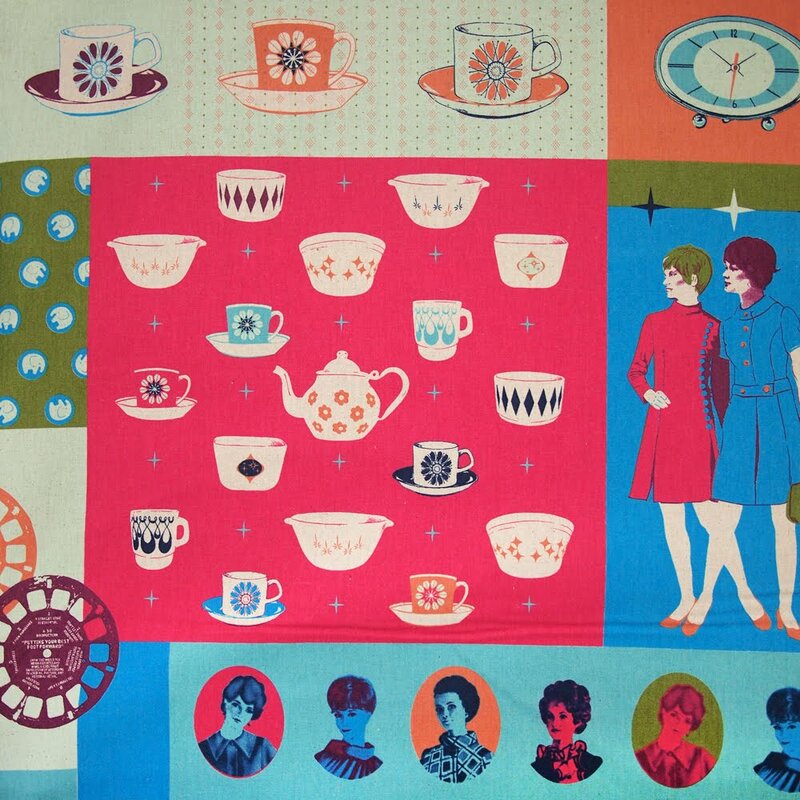 I wanted to tell a story about the women, and the objects that filled their lives." 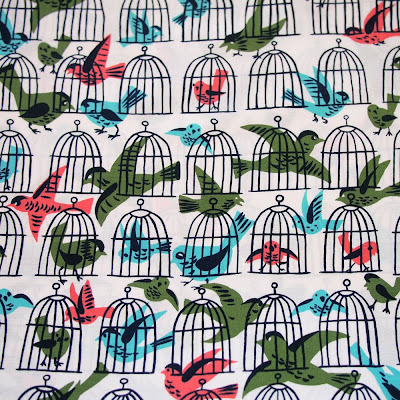 Well, we love these atomic era prints and can't wait to get sewing! 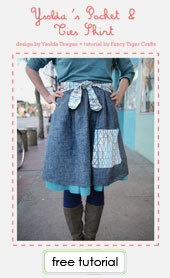 So, what will you sew?